The Wiener Circle tipped its hand that it will become McDowell's for Halloween again this year. LINCOLN PARK — You wanted it, Wiener Circle Halloween buffs, you got it. The Wiener Circle tipped its hand on its marquee Friday that it would be bringing the "McDowell's" costume from two years ago out of mothballs as it once again dresses up for Halloween, and the conversion was executed over the weekend in time for the Halloween Spooktacular on Clark Street Sunday afternoon. The hot dog stand with a deserved reputation for playful orneriness at 2622 N. Clark St. followed the Cubs' World Series run last year by turning into "Goatbusters," a play on the movie "Ghostbusters" and the Cubs' now-extinguished Billy Goat curse, complete with the Stay Puft Marshmallow Man. 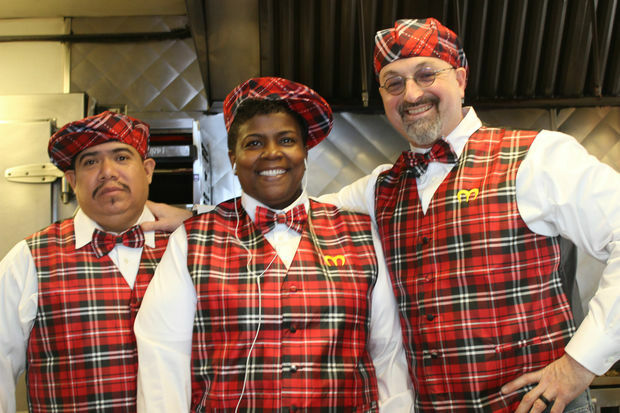 But some customers said they missed "McDowell's," the store's costume from the previous year, in reference to the McDonald's takeoff in the Eddie Murphy movie "Coming to America." 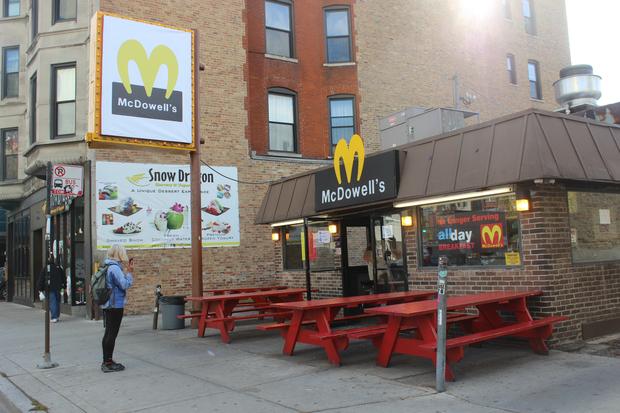 That faux storefront is back this year, after the Wiener Circle's marquee warned: "Welcoming back McDowell's Big Mic." So look for those nifty "McDowell's" uniforms to be coming out of mothballs, too. 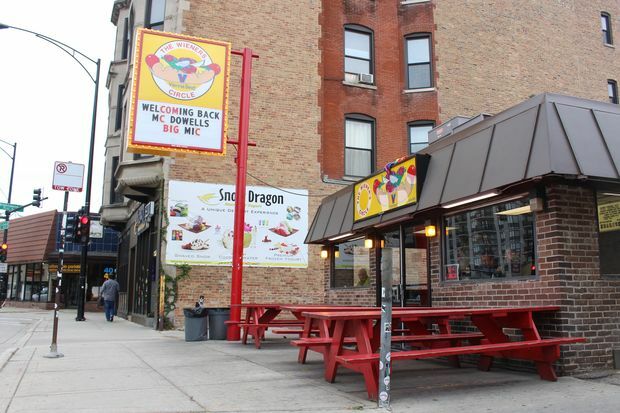 The ever-playful Wiener Circle has developed a well-earned reputation for verbally abusing its customers, especially at night as the bars close. When Conan O'Brien brought his TBS talk show to Chicago a few years ago, he brought along Robert Smigel's Triumph the Insult Comic Dog, who gave as good as he got in a visit to the dog stand.